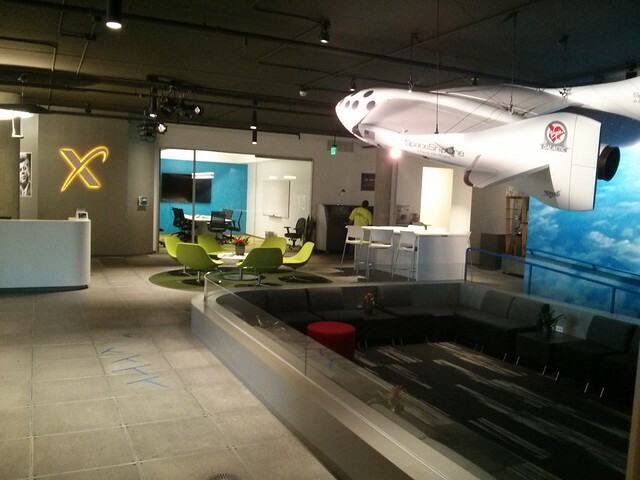 As some of you will know, recently I moved from Canonical to XPRIZE to work as Sr. Dir. Community. My charter here at XPRIZE is to infuse the organization and the incentive prizes it runs with community engagement. For those unfamiliar with XPRIZE, it was created by Peter H. Diamandis to solve the grand challenges of our time by creating incentive prize competitions. The first XPRIZE was the $10million Ansari XPRIZE to create a space-craft that went into space and back twice in two weeks and carrying three crew. It was won by Scaled Composites with their SpaceShipOne craft, and the technology ultimately led to birth of the commercial space-flight industry. Other prizes have focused on ocean health, more efficient vehicles, portable health diagnosis, and more. The incentivized prize model is powerful. It is accessible to anyone with the drive to compete, it results in hundreds of teams engaging in extensive R&D, only the winner gets paid, and the competitive nature generally results in market competition which then drives even more affordable and accessible technology to be built. The XPRIZE model is part of Peter Diamandis’s vision of exponential technology. In a nutshell, Peter has identified that technology is doubling every year, across a diverse range of areas (not just computing), and that technology can ultimately solve our grand challenges such as scarcity, clean water, illiteracy, space exploration, clean energy, and more. If you are interested in finding out more, read Abundance; it really is an excellent and inspirational read. When I was first introduced to XPRIZE the piece that inspired me about the model is that collaboratively we can solve grand challenges that we couldn’t solve alone. Regular readers of my work will know that this is precisely the same attribute in communities that I find so powerful. As such, connecting the dots between incentivized prizes that solve grand challenges with effective and empowering community management, has the potential for a profound impact on the world. My introduction to XPRIZE helped me to realize that the exponential growth that Peter sees in technology is a key ingredient in how communities work. While not as crisply predictable (a doubling of community does not neccessarily mean a doubling of output), we have seen time and time again that when communities build momentum and growth the overall output of the community (irrespective of the specific size) can often exponentially grow. An example of this is Wikipedia. From the inception of the site, the tremendous growth of the community resulted in huge growth in not just the site, but the value the site brought to users (as value is often defined by completeness). Another example is Linux. When the Linux kernel was only authored by Linus Torvalds, it had limited growth. The huge community that formed there has resulted in a technology that has literally changed how technology infrastructure in the world runs. We also have political examples such as the Arab Spring in which social media helped empower large swathes of citizens to challenge their leaders. Again, as the community grew, so did the potency of their goals. XPRIZE plays a valuable role because exponential growth in technology does not necessarily mean that the technology will be built. Traditionally, only governments were solving the grand challenges of our time because companies found it difficult to understand or define a market. XPRIZE competitions put a solid stake in the ground that highlights the problem, legitimizes the development of the technology with a clear goal and prize purse, and empowers fair participation. The raw ingredients (smart people with drive and passion) for solving these challenges are already out there, and XPRIZE works to mobilize them. In a similar fashion, the raw ingredients for creating globally impactive communities are there, we just need to activate them. So what will I be doing at XPRIZE to build community engagement? Well, I have only been here a few weeks so my priority right now are some near-term goals and getting to know the team and culture, so I don’t have anything concrete I can share right now. I assure you though, I will be talking more about my work in the coming months. You can stay connected to this work via this blog, my Twitter account, and my Google+ account. Also, be sure to follow XPRIZE to stay up to date with the general work of the organization. Congrats on the new gig, Jono. That paragraph really summarizes everything I believe XPRIZE has gotten wrong. “The incentivized prize model is powerful.” Science has proved (again, read the Dan Pink’s book) that monetary incentives aren’t good tools when trying to solve problems that require even rudimentary cognitive skill. “It is accessible to anyone with the drive to compete […]”. I’m sorry, but this just isn’t true. The problems set forth are very ambitious. Your space craft example is an excellent one. These problems won’t get solved by people in their garage. Only teams with a lot of resources in terms of time, equiment, skills and money are able to attack problems like this. SpaceShipOne had significant capital behind it. $25 million to be exact. That’s 2.5 times more than the prize money. Besides, even if you could complete the challenge within the $10 million “budget”, your expenses would only get covered if you win. That’s a very risky venture. Again, not something that’s accessible to anyone with the drive to compete. “[…] it results in hundreds of teams engaging in extensive R&D, only the winner gets paid […]” If we assume that the incentive works like you expect, people are doing this to win the money. This means that as soon as someone has won the money, everyone else stops trying. That’s hundreds of team’s efforts that are going to get tossed, because they give up when someone else wins the prize. “[…] the competitive nature generally results in market competition which then drives even more affordable and accessible technology to be built.” How do you figure that? Maybe some other team would have been able to complete the space craft challenge for a tenth of the budget, but doing so would have taken them a couple of more years to do it? The challenge didn’t incentivize the most economical, environmentally friendly, commercial space flight. Just the first commercial space flight (within certain parameters). Again, read Dan Pink’s book, but even without that context, my concern is that in what the XPRIZE concept seems to consider the ideal situation (unless I’ve misunderstood), a large number of amazing teams will be competing against each other to complete some hugely ambitious project. The ideal situation is all the best brains in a particular field working against each other? Luckily, this won’t work. Because: a) Read Dan Pink’s book. b) It’s such a risky venture that the only sensible people taking on the challenge are people who don’t need the prize, because they have a way to monetize the solution at the end anyway. If I had $10 million I wanted to put it to work to speed up the development of commercial space travel, I’d find people already motivated in this space (har har) and invest in them. I’d much rather spend my money on people who find the problem interesting than people who find the prize interesting. I’d probably spread the investment across multiple teams who look promising (a good combo of drive and expertise) and make my investment conditional on their joining forces for the greater good. Maybe I won’t achieve my goal this way, but that’s ok. Nor did XPRIZE with the space craft challenge, since SpaceShipOne actually required 2.5 times the capital to complete.